When it comes to the F1 season end to an extent we can't lose. If there is still a championship battle open then that keeps us occupied. If not, then there is something of an 'end of term' feeling; downbeat and free of care by the haughty business's standards. And so the latter was to a large extent in Interlagos. The end of each year also is a time to say goodbye. And this time - on a few levels - there seemed more goodbyes than standard. In Mark Webber's case from F1 altogether; in Felipe Massa's case from a long-term employer, to resurface next year in new colours. Yet as is often the case there are those who finish the campaign not yet knowing which category they are to fall into, and this time - for various reasons that I won't bore you with - there are a few more unknowns than usual for this point. There are 22 driving slots on the 2014 grid, and I make it that eight of them remain unclaimed (officially anyway): those are one at Lotus, two each at Force India, Sauber and Caterham, as well as one at Marussia. The who goes where scenario - as usual - seems to change pretty much hourly, but the latest word is that of all the various candidates it will be Paul di Resta without a seat when the music stops. This I struggle with, even accepting that most teams are in 'survival mode' financially, and that di Resta doesn't bring finance. Di Resta's not the first (nor the last) to face such a situation, particularly not in recent times, yet I find it hard to believe that many other disciplines would you have someone who'd out-scored his team mate over a season, not too far off the rate of double their total, as well as in a Force India only got one point fewer than someone who had access to a McLaren, and that this would add up to the sack (and the two guys I mentioned would apparently be shoo-ins to get drives). 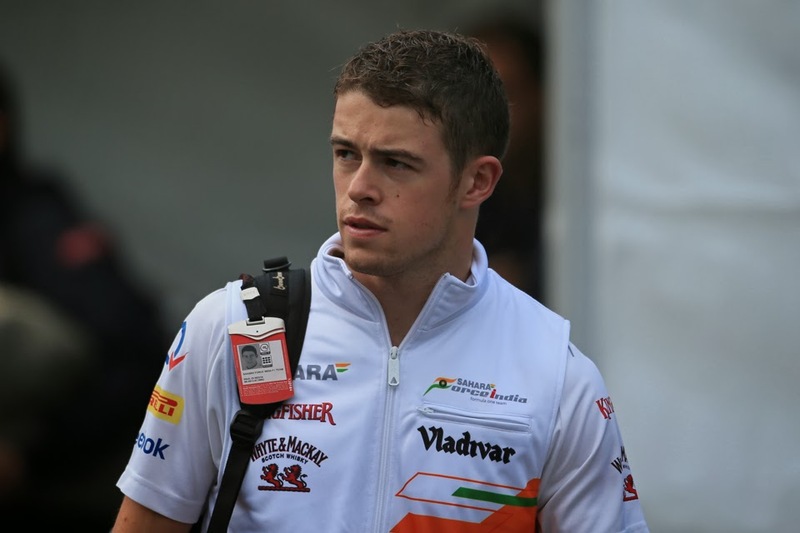 For various reasons - which need not detain us here - di Resta doesn't win popularity awards, but only a churl would argue that he deserves to be dropped on talent or on his record. Strange indeed are the ways of the F1 decision-maker. Ah, I hear some shout, the likes of Sutil, Perez and Gutierrez bring money, whereas di Resta as mentioned doesn't. But I can't help but suspect that this isn't all it's cracked up to be. For one, while Sutil brings money it's apparently not a great deal. For another, while the two Mexican drivers are associated in the F1 consciousness with cash, I wonder the extent that it's entered the teams' calculations that Carlos Slim Sr. and Jr. didn't become squillionaires by giving their money away; at least not without the expectation of getting more back. Perhaps Force India and Sauber aren't tapping into the supply of free money that they think they are. And also is F1 - not for the first time - substituting short term gain for longer term pain? While going for money over talent eases short term cashflow, more holistically it may demotivate the team, engineers might leave, fewer points may be gathered, less prize money is accrued and more generally the team may lose competitiveness and prestige. In other words, growing the team organically and attracting sponsors and investment via that avenue becomes more difficult. And, oh yeah, F1's meant to be the pinnacle of motorsport, and it currently is hemorrhaging worthy drivers to the likes of DTM, Indycar and LMP1. Given all of this, you begin to wonder how long F1's contemporary following of the money can go on. While I think F1 will essentially be okay over the next year or two, this is the first season I've worried about the state of the sport money-wise, even more so than late 2008. Clearly, there's plenty of cash to go round within the management (this is, perhaps, another discussion) but a number of teams seem increasingly desperate. Worst case, next year I wondered if we would see Lotus, Sauber, and Force India even on the grid - they are presently scrabbling for money from the sort of sources that - historically - have failed to deliver. I agree totally that teams should flee to quality; it always pays off in the end, and I guess more and more are going to have to start doing b2b deals in specialised areas, like Williams have invested in. More manufacturer involvement would be nice. At least the new engine regs invite that. By the way, I got a much greater 'end of term' feeling from this particular race than I have in ages. I think it was the foreboding clouds, driver changes and retirements, and the end of the naturally aspirate era. There was a tangible current of emotion.